Dr. David Lewis shares with us how he uses Historic Oregon Newspapers online for his many research projects! Can you tell us a little about your research and yourself? I am a researcher in ethnohistory. I received my PhD from the UO in 2009 from the Department of Anthropology. 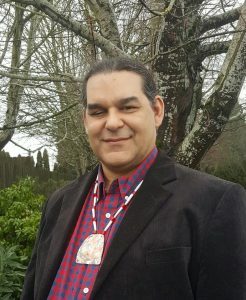 I spent a long time in my education, 1988-2009, from 1994-2009 at UO, and studied Native American history and culture nearly the whole time. 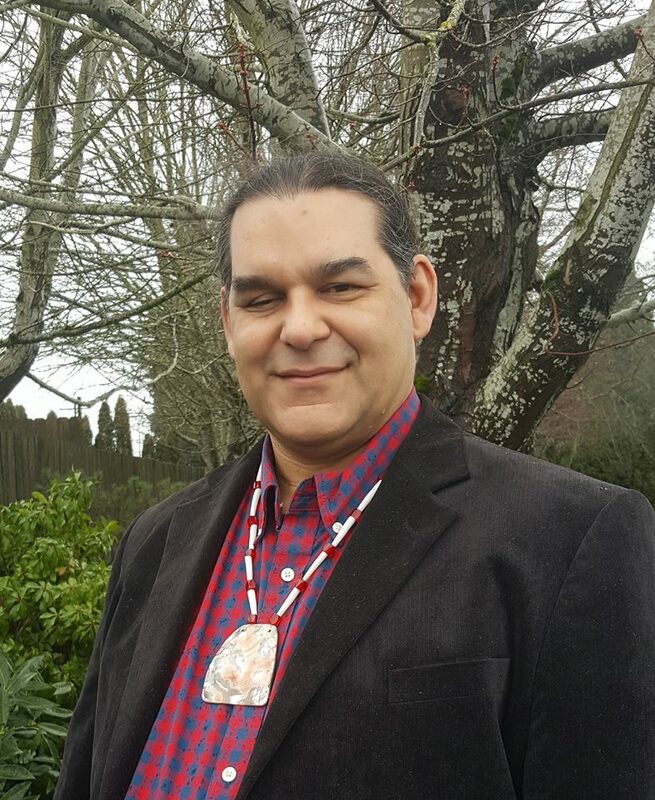 I am a member of the Grand Ronde tribe, in fact Kalapuya, Chinook and Takelma, and planned a long time ago to help the tribe restore parts of its culture after its restoration in 1983. I was the Cultural manager for 8 years at Grand Ronde and now I am an educator and independent researcher. I teach at local colleges and conduct contract work for tribes. The blog grew out of my interest to producE more accurate histories about the tribes of western Oregon. I have been collecting primary documents for years and now I get to use them by finding interesting and unknown subjects in the documents that need to be told so we can understand the history of the tribes. I began this research with the SWORP project collection, which I helped gather and bring to the UO and organize for Special Collections. I continued with my work at Grand Ronde, helping develop and plan the museum and archives for the tribe, which opened in 2014. The blog now has more than 280 history essays on it. I find that through the blog I can produce history fast and get it out to the people who need it and will appreciate it quickly and efficiently. I am now working to rewrite a number of my essays into a publishable book form called Tribal Stories of the Willamette Valley. I have a following of some 900 people on various social media and have gotten over 67,000 views on my blog from some 30,000 people throughout the world. There literally is nothing else like my blog for Oregon Native history. Most of my attention is paid to western Oregon, but have numerous essays about northern California and eastern Oregon as well. The other benefit to the blog is that I am creating curriculum for public schools and universities. I have gotten many comments from educators who are actually using the blog posts in many areas of Oregon. Its really an untouched subject, through my research I have found most of the “histories of Oregon” have ignored native history entirely, and so I am literally writing Native people back into their history. It is my heritage as well and I have found that as an educator, its easier to make a connection with native students if they see themselves and their heritage reflected in the history they are reading. Its really unconscionable that in this day and age there is almost nothing taught about Oregon tribes in our public schools when there is so much information available. This leads to a complete lack of understanding of Native peoples by the majority of Oregonians, a situation I would like to help remedy. What resources did you use for your research? I have extensive ethnographic information from anthropology, folklore, linguistics, and history studies, as well as extensive government records at my disposal, from some 25 years of collection such records. As well the digital age we are in makes it easy to find older texts fully available online in numerous sites, for free. Sites like Google books, Google scholar, the Internet Archive, Hathitrust, Southern Oregon University Digital Archives, and the Oregon Digital Newspaper Project make it easy and efficient to find the information I need to write my histories. I have become an expert in online research. I generally peruse a placename or persons name as a search term and find that Newspapers like the Oregon Spectator, Daily Oregonian,and Willamette Farmer are very useful for finding great newspaper articles about the subjects I am interested in. As the number of newspapers grows the site becomes important in new ways and in new areas of Oregon. I wish that some of the holes in the major titles would be completed soon as well. Where can we access your work? My blog is at https://ndnhistoryresearch.com/, and I post my articles on a Facebook site, Oregon Indian Territory, https://www.facebook.com/theoregonterritory/, which I manage also. I do not have a pay site I am working on a plan for this, but I do ask for donations to help me pay some of the annual blog fees. At this time I am working on gathering tribal stories of the Missoula floods so that I can understand the floods of 12,000 to 14,000 years ago, from different tribal perspectives. At the same time I am editing my stories for my forthcoming book Tribal Stories of the Willamette Valley. I am also a co-editor on a volume to collect together various studies about the Kalapuyans.